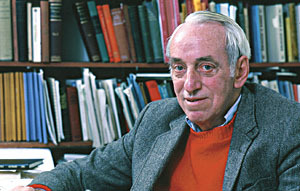 James Tobin is an American economist. Actively interested in the policy side of economics. In 1961, he founded President Kennedy’s Council of Economic Advisers, and later advised George McGovern on economic matters during his bid for the Presidency in 1972. New Republic (1960) and The New Economics – One Decade Older convey Tobin’s conviction that current social and economic problems are soluble. In addition he has made many important contributions to macro-economic theory; his particular interest is in the portfolio balance’ theory of the demand for money.